Their servers get a 4/5. My server has had a few issues but they are very quick to solve the problem once you issue them a ticket however it would be nice if it didn't go down at all but I suppose these things do happen which is why I would give them a 4/5. Their support get a 3/5. The support has been pretty average, its not the fastest response in the world but if you catch them just before you go to bed they have usually answered it by the time you wake up. Overall that brings us to about 3.5/5 which I think is a fair score for this company! The CubedHost guys have a really great outlook on life. They are always really happy and helpful no matter what problem that occurs and nothing is to small or to big for them to sort out. I have only been with them for a few weeks but the service I have received so far as gone beyond what I was expecting for the price I paid for a server. They have been helpful with the first step up of my server and were kind enough to do a lot of the plugin installs for me to get me going. It's just good to know that my server and my players are on a safe server that runs well. Thanks for doing such a great job CubedHost. As far as Minecraft Hosting goes CubedHost really understand how customers should be treated. I was with a slightly more known host before that was rubbish! They were unhelpful and just didn't care about me having troubles with my server despite me paying for it! Since trying a smaller host I have noticed a huge improvement in my server performance and the support in which I get from the staff. You can really tell that the people working for CubedHost really enjoy their jobs and they have a passion for what they do unlike some companies that are just in it for the money! Would Recommended them based on their passion and helpfulness. CubedHost are great for MC Hosting. Their prices are very competitive and the guy running it seems to know what his talking about when it comes to anything relating to Minecraft. I was unsure on who to chose for MC hosting to start with as there are like a 100 hosts to chose from and I'm sure a lot of them are good and some are bad. I only actually went with CubedHost as I was refereed to them by another player on a Hunger Games server. So far they have been great, so I'm happy that I decided to give them a chance. CubedHost was founded in December 2011 and has been offering Minecraft server hosting ever since. 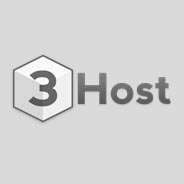 They originally started off offering small Minecraft packages but have since grown in the last 4 years and now even offer dedicates server hosting for people looking to host much bigger servers. CubedHost have a Multicraft Panel which allows uses to easily install mods and change their servers with a few clicks. They offer Premium or Budget Minecraft Hosting as well a Minecraft: Pocket edition for mobile gamers.